Professional athletes like Malik Allen remind us that success at the highest level of athletics can be defined by something other than championships, enormous salaries, and lucrative corporate sponsorships. After playing four years of Big East basketball at Villanova and making the NCAA Men’s Basketball Tournament twice, Allen entered the NBA in 2000 as an undrafted free agent. The dedicated and determined Allen was able to spend 10 years at the highest level of his profession – more than twice as long as the average professional in his sport. Allen was not one of those guys one would assume would make it at the pro level. But he persevered and pushed through a career in the pros that was filled with the uncertainty that comes with short contracts and frequent trades. Starts were rare, stat sheets arguably less than stellar, and the windfall checks and seven-figure shoe deals elusive. He was a role player and he understood his role perfectly. His own measured assessment of his playing days is neither modest nor self-deprecating. He understands there aren’t legions of kids out there putting themselves to sleep at night with dreams of being like Malik, just like he understands that anyone with professional hoop aspirations would be lucky to achieve a fraction of what he has. Allen worked hard to earn every minute of the decade he spent in the NBA, and he is proud of what he accomplished and grateful for the opportunity. NOW RETIRED from the game, Malik Allen has co-founded a company called inRecruit, an online recruiting community for players, parents, coaches, fans, and sportswriters. inRecruit is a place where players can build profiles advertising themselves and search out schools and coaches they’re interested in. Coaches meanwhile, can track the development of players, as can sportswriters and fans. And Allen, along with co-founder and former Villanova classmate, Joe Rocco, is behind it all. A few innovative features have received some early attention, like the software that automatically updates online news mentions of a player or team, or the one that tracks who has been looking at your profile. But inRecruit brings to the table mostly the same things any social media site does: access. Everything is all in one place with available search options that make connecting with people simple. As such, it is the Malik Allens of the world who stand to benefit. “Athletics for many people is an opportunity,” said Malik Allen. “And that’s what we’re trying to offer: an opportunity for coaches to take notice of kids they never possibly could have in the past, an opportunity for players to learn about schools they maybe didn’t even know existed. inRecruit is not for Division I coaches with scouting budgets or blue chip high school seniors with a jump shot. It is really for the small town varsity starter who, like Allen, isn’t ready to call it quits after high school, but doesn’t know where to turn. It is for the Division III coach who can’t offer a scholarship but needs a well-rounded player who will fit the team. “Joe was sending me a lot of research and general background information on the tech world and running a startup,” Allen said. “I found and still find a lot of the information out there to be fascinating, but it was so different from what I had been doing. I hadn’t been reading like that since I graduated, and totally new stuff, too. But I had that hole in my life where my old routine had been, and I was happy filling it in with anything. After a while, it gets to be second nature. You get up, and you know you have to work. You can’t go to sleep at night unless you know you’ve put in the hours and done what you’re supposed to. “The idea had always excited me, but there’s no such thing as a smooth transition from basketball. It wasn’t until I started really diving into the reading that I realized how passionate I was about it, and that was when I think it actually clicked that 'hey this is something I can really devote myself to,'” he concluded. Rocco had prior experience working with startups, so he started sending Allen reading material to bring him up to speed on the process and all the considerations that go into it. Before long, though, it was Allen sending him the research, and Rocco was the one struggling to keep up. PROFESSIONAL SPORT doesn’t seem like the endgame it is usually made out to be. When I spoke with Allen, he told me “there’s no such thing as a smooth transition [out of the pro life].” And that’s easy enough to understand. How do you move on from the reality of having fulfilled, what has been up until that point, your lifelong dream? Life in general is difficult and not just for transitioning athletes. Allen’s experience gives credence to the sometimes-contrived notion that sports can prepare you for it. In Allen’s case, the professional life was the transition. Specifically, it was training for the exhaustive, maddening labor of developing and launching a startup company. But that’s just how things happened to play out. 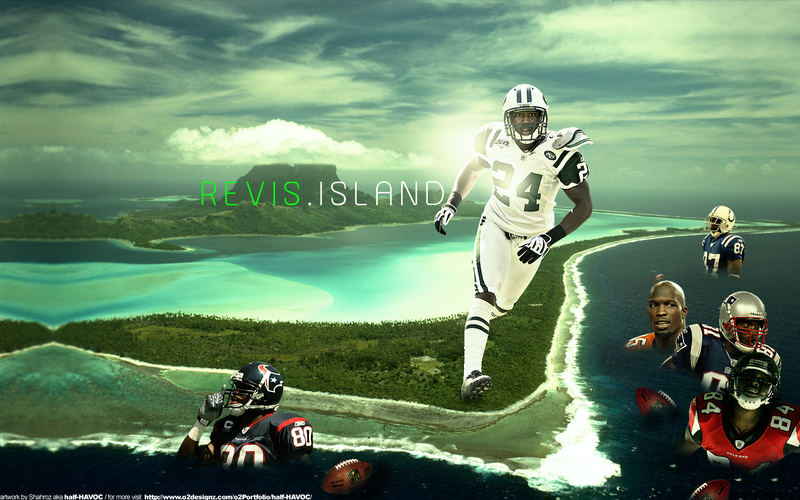 With Allen, you get the sense that sports would have inevitably dictated whatever he chose to pursue afterward. And a large part of the success of his rising business entity, inRecruit, can be attributed to that. “People don’t see all the work that goes into it,” Allen said. “All of the effort, all of the sacrifices, all of the little decisions and choices […] more so for guys like me. I wasn’t a great player but I was professional. IT’S HARD TO AVOID THE CONCLUSION that Allen fell into the perfect range of success as an athlete. Had he been more naturally talented, he may never have cultivated the love of labor that underlay his professional career and that has since gone on to power his entrepreneurial ambitions. Had he not possessed whatever combination of ability and physical attributes that allowed him to compete at the level he did for so many years, the utility of putting so much time and effort into basketball would have been rendered null. Allen’s work ethic is impeccable and for Allen, working has become “a compulsion.” With inRecruit, he has found something that rewards the energy he pours into it, something that makes him want to work. But if it hadn’t been inRecruit, it would have been something else. And yes, it’s fair to say that he has sports to thank for that. Allen discounts completely the notion that the Kobe Bryants of the world do not also hone their craft over hours and hours of grueling work. But Kobe Bryant works to be the best basketball player ever, whereas Allen worked because he understood that his very future in the sport was dependent on it. The balance of success and hardship that was Allen’s playing career was better – more stable – in the long run than gaudy success could have been, even if it perhaps didn’t feel like it at the time. The tenuousness of his career in the NBA forced him to be “highly conscious” of money and plan ahead for the inevitable day when people were no longer giving it to him in exchange for playing a game. And the characteristics that helped him survive longer than his stat sheet are now being put to use in his post-career. Indeed, for most people, the startup world takes a level of willful stubbornness that surpasses even that of athletes who have managed to make it pro. Failure is almost guaranteed at some point. But with any luck, Allen won’t experience too much of it. Wesley Mallette assisted in editing this story. great article guys. hard work and dedication. I love it. very inspirational!!! Enjoyed the article! Going to be sharing the link. Hits the nail right on the head with key themes of planning, perseverance, and maintaining relationships being so important, yet often overlooked. 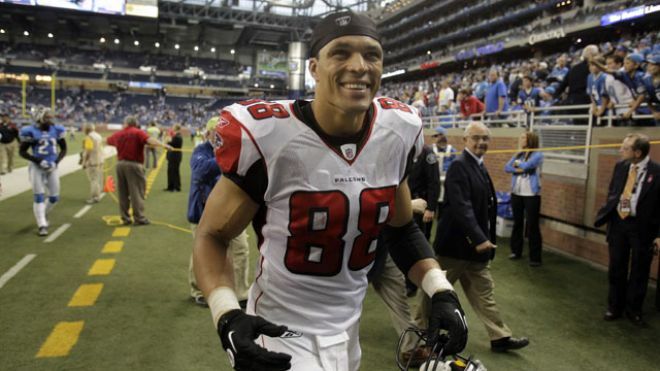 A few weeks ago 13-time Pro Bowl tight end Tony Gonzalez announced that the 2012 season will probably be his last. 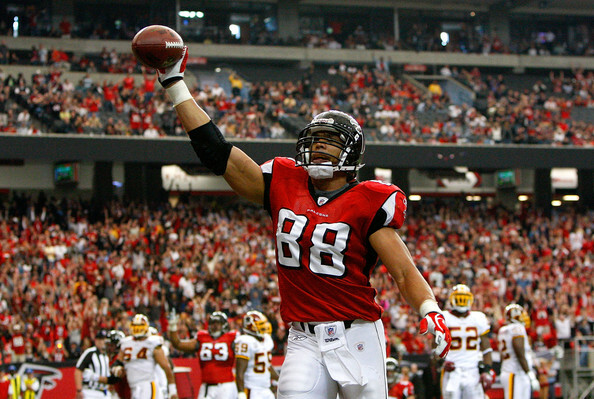 I have previously featured the 35-year-old future Hall of Famer here on Access Athletes in a piece entitled Tony Gonzalez is on a mission to spread his all-natural lifestyle. In this Q&A, we talked to Gonzalez about philanthropy, leaving school early for a pro career and adapting to the NFL, his belief that the NFL needs to create a job summit for former players, his experiences with sports agents and his publicist Denise White, balancing his family with being an athlete, becoming a businessman and running his company All-Pro Science, and much more. Q: Tell me about the Tony Gonzalez Foundation and some of its philanthropic initiatives like the Shadow Buddies Program. Gonzalez: I’ve been involved with Shadow Buddies since my Rookie year, so 15 years now. Miles Postlethwait is the poster child for it. He’s the reason Shadow Buddies is around. He’s like a little brother of mine. I met him when he was 9 and now he’s 24. It’s crazy. It’s been fulfilling. I’ve been really lucky to be around some great organizations and a great charity spreading smiles. Shadow Buddies is not about finding a cure. It’s not about going out there and raising millions and millions of dollars. What we try to do is take a grassroots approach and we go out and hand deliver these buddies to sick children and senior citizens. It’s really about putting smiles on people's faces and sometimes I think that’s the best medicine, especially when someone’s circumstances are terminal, which is a lot of the cases. We’ll go to cancer wards and kids are in the later stages of cancer or leukemia or whatever it is and they haven’t smiled in a month-and-a-half, and then you go in there and give them a buddy and spend about 5 minutes with them. When you walk out they’re smiling, and then the nurse comes up to you and says, “hey, she hasn’t smiled in a month-and-a-half,” and she’s in tears. We’ve had those experiences. That’s what makes it all worth it for me and the people involved with Shadow Buddies. It’s great spreading that word and trying to make it as big as possible, and I’ll continue to do it. Shadow Buddies is close to my heart, but now I also want to get into health and childhood obesity and helping kids because they’re our future. We have a Type 2 [Diabetes] epidemic going on in our country, which really wasn’t seen 20 years ago in kids. And now you see it all the time. And you can’t tell me it’s not because of our nutrition and what we’re feeding these kids. So, I’m definitely getting involved with that. That’s definitely a way that I want to push—making sure kids are eating the right things and putting good stuff in their bodies. Q: What is one thing you now know about the NFL lifestyle that you wished you would have known when you entered the league that would serve as a helpful tip for current players or rookies coming into the league? Gonzalez: Making the most of your time. You’re going to have a lot of extra free time now, especially during the off-season. You go from this whole routine of practice and getting out of there late and playing games during the week to seven months of not doing anything. I mean you can work out and stuff like that, but I think that goes without saying. I always worked out, but that’s just two hours a day. After that, what are you going to do with the rest of your day? Don’t just play video games. Don’t just watch TV or go out there and get the latest car and go to the club at night for the single guys out there, which I was. You can make so much more out of your life. You have all this free time. You can do whatever you want. The world is at your fingertips and you need to just exercise that. Just make sure that you make good decisions! Q: What advice would you give to this year’s NFL rookies about how to put themselves in the best position to succeed in the NFL? Gonzalez: Things aren’t what they used to be and we’re under a microscope now. Anything can get reported on because there are so many media outlets and they need to fill those time slots. I would definitely say just be smart. And when I say be smart, if you’re going to go out and you’re going to have a good time at night, there’s nothing wrong with that. I encourage you to do it, especially if you’re a young, single guy. There’s nothing wrong with that. Be smart about it. Be responsible. You take a taxi or hire a driver. That little hundred bucks that it’s going to cost—well if you take a taxi, it will be cheaper than that—it’s going to be so much cheaper than paying for a DUI or paying for a problem at a club or whatever. Along those lines, surround yourself with good people. Surround yourself with people that have your best interests at hand. Nothing wrong with keeping your old friends, but make sure they have your best interests and they want to see you be successful and they’ll tell you no. You need a couple of “no” people in your life, not a bunch of “yes” people. Q: According to Sports Illustrated, 78% of former NFL players have gone bankrupt or are under financial stress because of joblessness or divorce by the time they have been retired for two years. Why do you think the numbers are so high and what sort of things have you been doing to avoid becoming another statistic? Gonzalez: They’ve been playing football their whole career. They’re not prepared. They’re young kids. When we go to school, for better or for worse, the reality is that we’re playing football in school. It’s number one. I don’t care what anyone says. When you’re playing for the university, your coach wants it to be number one. I know they say student-athlete and student comes first. I think it’s a crock at times. And it doesn’t sound good. It is what it is. We are talking about university. You got a scholarship there. More than likely, I wouldn’t have gotten to Cal if I didn’t play sports, but I’m there because I play sports. It’s a great opportunity and I took advantage of it when I got there. But some guys just can’t recognize that. So, when you’re coming out of the NFL, you’ve been really trying to play football. That’s what you’ve really, really been focusing on because you’ve had to. We’re talking about this is your job. You haven’t really thought about what you’re going to do after your done playing because you’re trying to stay focused. Bang! Then you’re out of the league. You can’t make a team... It’s like now what are you going to do? You can try to go back to school, but we’ve been doing this our whole life. I think the only way they can really get that number to go the right direction is kind of what they’re doing right now. The NFL gives you access to programs during the off-season and they help guys. There is a really good idea—and I heard this; this isn’t my original idea—for a program they should really install in the NFL, which would be really beneficial for all professional athletes. Currently they have a Rookie Symposium for all incoming rookies that is a 3-day summit. They need to make a mandatory 3-day summit for guys that retire and give them some leads, instead of saying you’re cut and “see ya later.” Now you can’t be a part of that program anymore because you’re not in the NFL and the team really has no one you can turn to, honestly. The NFL as a whole needs to have more concern for these guys and maybe create a summit or something similar where these guys can go and get job skills, or at least get some ideas for jobs and how they can deal with their relationships. Because that’s another big part of it too—a lot of guys get divorced when they retire. They need to go to some classes and learn. It’s like anything else—you have to educate yourself. I think that would really help a lot if they had a symposium for newly-retired guys. You can’t make it mandatory I guess, but I’m sure any guy with his right mind would go to it if the NFL is going to pay for it. Have another 3-day summit/symposium on skills and doing something to make that transition easier now that they’re not going to have football anymore. And maybe have people there that can give them jobs or at least point them in the right direction. Q: Tell me about Tom Condon and how he’s helped you throughout your career, especially when you got traded to the Falcons in 2009 and how he assisted you with that whole transition. Gonzalez: Tom wasn’t my agent my whole career. I started off with Leigh Steinberg. And then when he had his whatever—his problem—I left him and David Dunn. I left them both. They were both good for what it was worth. This is before David Dunn formed Athletes First. This is when they split up. They were going through their divorce, and I was one of the kids seeing the parents’ divorce. So, I was like I will see you guys both later. I don’t want anything to do with either one of you guys. So, I went ahead and sought new representation. That’s when I found Tom. He played in the league. First and foremost, he gets the best contracts in the NFL, or at least he’s one of the top guys, and I just got along with him. It’s like he knows how to communicate with people because he has that background and he’s played in the NFL. For 12 years, he played in the NFL. And he’s got the backing too, with CAA. And at that time, it was IMG, which is pretty much the same type of stuff. With CAA, if I did want to be an actor or if I want to be a commentator or some type of broadcaster when I get done playing football, I have access to that and they can hook me up with that. So, it’s kind of a one-stop shop. As far as my transition coming to Atlanta, he was there every step of the way, talking to me. He would say, “Okay, this is what we’re thinking… This is the team that is going to get you and all that stuff.” I knew I was going to get traded, but I didn’t know it was going to be to the Falcons. Q: How successful has Denise White of EAG Sports Management been in enhancing your brand and marketability? Gonzalez: She’s the wizard behind it all. I mean she’s the one pulling the strings behind it all, as far as what I’ve been able to do off the field. Obviously, I know that I got to do what’s on the field, but then she helps me translate that to off-the-field success, in terms of getting your brand out there and getting your face out there. She brings me good stuff and helps me make good decisions. It’s like helping me when to say yes and when to say no. We’re very, very close. Shoot, I think I was one of her first clients. We’ve been together a long, long time. I’ve seen her grow just as much as she’s seen me grow. Now, she’s built her business up to whatever it is now, 60 clients. I remember it was pretty much just me and maybe one other client. It’s been a fun process with her, watching each other grow and we help each other. It’s more like a brother-sister relationship. We fight like cats and dogs, and in the end, we get along great. She does a great job for me in pointing me in the right direction. As athletes make the transition from professional sports into the business sector, some find it helpful to rely on name recognition established in years past. It is the hope of those who represent these athletes-turned businessmen and women that the sports-related reputation carries sufficient weight in the corporate world to garner a significant amount of contract negotiating power. But even if our clients’ reputations are strong now, who’s to say they will continue to be popular enough, good enough or even pure enough to maintain the interest of the consumers who are purchasing goods and services tied to the athletes’ names? This is where the concept of “brand protection” typically enters the discussion. Take a survey of a PR firm, an intellectual property attorney, sports agents and talent managers and you are bound to hear various definitions for the term “brand protection,” and even more explanations on the best methods of achieving it. In recent years it seems that business professionals have increasingly encouraged clients to achieve a certain level of brand protection by obtaining a formal trademark for their names, logos and even catchphrases. If, by doing so, the hope is to stave off would-be infringers and/or increase the chances of legally stripping infringers of profits generated from the unauthorized use of a protected mark, obtaining a trademark may or may not be the best vehicle to achieve these goals. Intuitively, we believe people who sell goods—license plate holders, key chains, t-shirts, cups, etc.— bearing a swoosh symbol, distinctive bunny ears, or a black prancing stallion on a yellow shield, should be sued and forced to turn over their profits if it is the case that the sellers are not actually licensed by these multinational trademark holders. It also seems reasonable to think that the unauthorized sale of cloth patches bearing the initials of a national sports league, or figurines/dolls wearing a jersey bearing a popular player’s number should also be deemed unlawful behavior. (Note that this article will not discuss alternative legal bases a person may rely on to challenge this seemingly illegal behavior, independent of trademark laws.) Surprisingly (and for mark holders, unfortunately), in many parts of the United States, our intuition with regard to the protection afforded by trademark laws is wrong. In a federal case filed in Arizona, a district judge concluded that the unauthorized sale of license plate holders and key chains branded with a popular symbol for a German auto manufacturer did not constitute infringement. The trial judge explained that consumers are less concerned about who actually manufactures these license plate holders and key chains and more concerned with the functional use of the products that happen to include an aesthetically pleasing insignia. The function of the license plate holders and key chains outweighs the use of the German brand name. As a result, there is no trademark protection because trademark laws do not provide exclusive protections for functional goods. This decision was ultimately overturned on appeal; however, weighing “function” against “aesthetic” charm continues to be a major consideration when a trademark holder sues an infringer. As a Pro, You Created a Brand; Now, Protect It! In these times of multiple threats of league lockouts and increasing salary caps, many athletes are finding themselves searching for alternative revenue streams. Even pros whose sports continue to keep them working are steadily looking to supplement income, primarily through business deals based exclusively on name recognition. As a result, brand protection is of increasing and paramount importance. Once an athlete steps into the business sector, that athlete must remain cognizant of the public’s perception of his or her image. Thinking of oneself as a brand has been a widely covered topic of late. While many understand the need for brand protection theoretically from a PR perspective, many fail to see it practically from a legal perspective. The general public, including prospective employers, get to know athletes by the personality traits captured on tape, manifested through commonly observed technical and social skill sets displayed on and off the court (or field as the case may be) – which goes to the heart of branding. While brand development typically starts in high school and travels with the athlete all the way through to post-professional play, it is the public’s perception that dictates the pervasiveness of athlete brand recognition. Ultimately, surviving in the business sector necessitates that when an athlete leaves competitive sports for the business world, the athlete must carry a strong brand along with a (different kind of) team eager to protect it. High school-aged athletes are typically still learning their craft when audiences begin watching them and making decisions about the athlete’s likeability. During this time, most athletes do not have handlers, media trainers, lawyers and other consultants whose jobs are to create and cultivate what will one day become the athlete’s brand. A slightly less extensive grant of rights is assigned by pro athletes who seek to compete in leagues, tournaments, circuits and tours. The major distinction here is that the pro maintains some rights to also license likeness, although such a contract cannot conflict with the primary agreement. As such, it is in this time frame, when an athlete turns pro, that the athlete is permitted to earn money from the commercial use of likeness. These days athletes are lending their likenesses to the promotion of consumer goods and services such as clothing, shoes, and insurance; social events, including parties and charity tournaments; and even reality TV shows. What many do not understand is that the value of the athlete’s likeness to the company employing that athlete is usually multiplied by the athlete’s failure to negotiate greater protections for the use of the athlete’s brand, in conjunction with that of the employer’s. Following the 2011 NBA Finals, there were rumblings that a multinational company might replace one athlete’s endorsement contract with another player. (This article will not speculate on the legality of such a move.) Evident from this notion of a seemingly unilateral decision by one contracting party to completely nullify an agreement is that the athlete might not have taken control of certain key terms when the agreement was initially negotiated. While it is typically the case that one party to an agreement will have slightly better bargaining power than another, he who holds the weaker position must fight for as much control in the negotiations as possible. Being asked to sponsor and/or endorse a consumer good or service is quite an accomplishment; it’s also a testament to the brand you and your team have created. However, don’t get caught up in the glitz and glam! Protect your brand by focusing on five key elements over which negotiation is both warranted and expected: scope, duration, territory, enforcement and price. The Business Within the Game: How to Out-BRAND the Competition! This story illustrates how a growing number of professional athletes are seeking trademark protection for their names, slogans, nicknames and even their catchphrases. This is a good thing. Today’s world-class athletes are becoming more business savvy and brand conscious then ever. As many former professional athletes continue to struggle in their post-career endeavors – yes even recent millionaire retirees – finding ways to capitalize on what is often a brief playing career and short-lived celebrity brand is essential in maximizing earning potential. 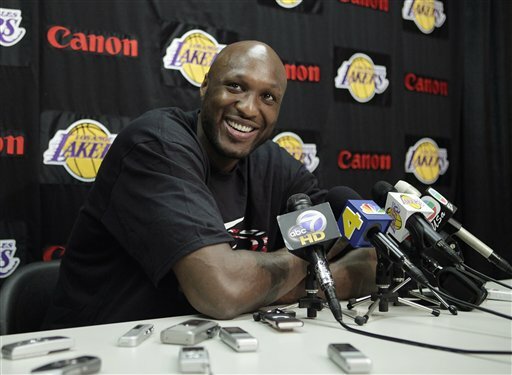 As if it wasn't bad enough that Lamar Odom gets exorbitant fines for committing a flagrant foul and then fined again for voicing his opinion to the referee. He'll now fight an uphill battle challenging the IRS for back-taxes over...semantics? I see nothing wrong with this message from LeBron James, especially since he appears to be answering the critics whose perspective was championed by Charles Barkley. I strongly disagree with what Barkley and his supporters were saying about the future implications of LeBron’s team selection, and I believe Charles’ reasoning was historically irrational and misguided. Essentially, Charles said LeBron should have chosen to stay with the Cavaliers primarily because that would’ve allowed him to be the undisputed leader rather than just a super cog. Furthermore, Charles argued that by not staying in Cleveland, LeBron was somehow dishonoring the cultural status of NBA basketball by rejecting the notion of competing with superstars like D-Wade for the top NBA dog spot. According to Charles, this was the true effect of LeBron joining a team that already featured another player of roughly equal star status. Never mind that Charles, who never won an NBA championship, was thinking about his own ego needs, and wasn’t really speaking from first-hand knowledge of what makes LeBron tick. Focusing on LeBron James' human imperfections may make us feel better, but it doesn't help NBA fans to understand what we're really dealing with.